It is a nearly 3,000-mile journey from Southern Honduras to the southernmost tip of Texas, a region called the Rio Grande Valley, where most unaccompanied migrant children from Central America enter the United States. Over 50,000 children have already arrived in 2014. Most children begin their journey by bus, often accompanied by a coyote, or human trafficker, which costs a few thousand dollars. They stop at safe houses along the way that are usually crowded. An unaccompanied child is one who lacks immigration status, is under 18, and who is present without a parent or legal guardian. The average age is dropping: children under age 10 are now making the dangerous journey predominantly from El Salvador, Guatemala, and Honduras and Mexico. Honduras and El Salvador, where there are more gang members than police officers and extreme violence, cannot adequately protect children, who are left extremely vulnerable (93% of crimes perpetrated against youth go unpunished). Many children leave for the possibility of family reunification and/or in search of educational and economic opportunities. Mexico has no foster care system for asylum-seeking children and a lack of children’s shelters. The children are often left in detention centers with adults or they seek deportation to try again. 48% of children are affected by violence from drug cartels, gangs or the state. 21% of children survived abuse and violence in the home. 38% of children from Mexico are exploited in the criminal human trafficking industry. Up to 72% of children may have more than compelling reasons to receive asylum. What are they risking to come here? The journey north to the border finds children in danger of drug traffickers, human traffickers, corrupt law enforcement, and gang activity. Girls are routinely raped on the journey and gang violence along the route is common. The children who are able to cross into the United States are being held in detention centers at the border and at other federal facilities, such as military bases. Immigration policy does not require the state to supply an attorney, often leaving children dealing with trauma to represent themselves in deportation hearings. Pray for the children and their families. 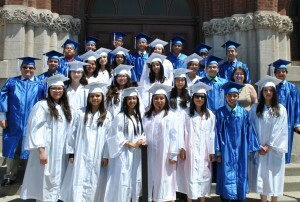 To learn more, call Lisa Polega (English) 312-534-8104 or Yazmin Saldivar (Spanish) 312-534-8105. Sources: No Country for Lost Kids, PBS Newshour June 20, 2014; Office of Refugee Resettlement, Catholic Relief Services, Catholic Charities, Catholic Legal Immigration Network Inc., VERA Institute of Justice, Bishop Mark Seitz testimony, USCCB. 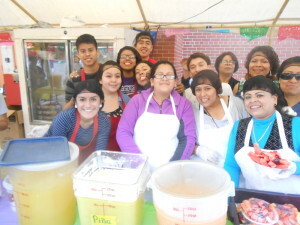 The parish youth group pitches in at the kermes. This year’s one-and-only Kermes was a great success. Hundreds of visitors enjoyed the beautiful weather, rich Mexican cuisine and cultural offerings. For the first time, the parish will host only one Kermes this year, opting to run the festival for three days and offer beer and wine to increase our revenue. We also added carnival rides and games that were very attractive to families with children, and we continued the tradition of showcasing Aztec dancers, regional music from Mexico and other cultural programming. This year Jóvenes en Acción, the newly formed parish youth group, worked long hours making fresh fruit drinks. “I don’t know how we ever managed without their help,” Fr. Brendan said. As always the car raffle was the highlight of the event. Araceli Lucio, the health coordinator at our sister agency, The Resurrection Project was the winner of the cherry red For Mustang. She makes this impassioned declaration because of the role St. Pius V has played in her family’s joys and sorrows – both of which have been plentiful. She and Rudolfo say that the support they received from St. Pius V during the difficult years after their immigration from Mexico kept their marriage and family together. It started when they arrived in Chicago in 1995 with their toddler son. Antonia’s aunt invited her to join the parish Christian base communities. She accepted, she said, but participated only halfheartedly until parish staff member Dolores Tapia encouraged Antonia to give more of herself. 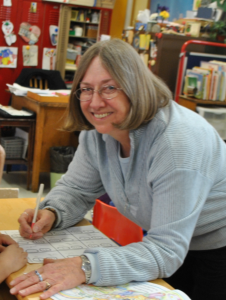 She joined the parish leadership program, which, she says, taught her about her faith, about the principles of Catholic social teaching, and, perhaps most importantly, that she has her own voice she can use for good. Antonia began using that voice to strengthen her family. Her participation in the parish women’s group helped her see that she and Rudolfo needed support as a couple. Though Rudolfo was initially resistant, they both say now that the programs helped them to understand each other, to improve their relationship with their three children, and to grow spiritually and emotionally. 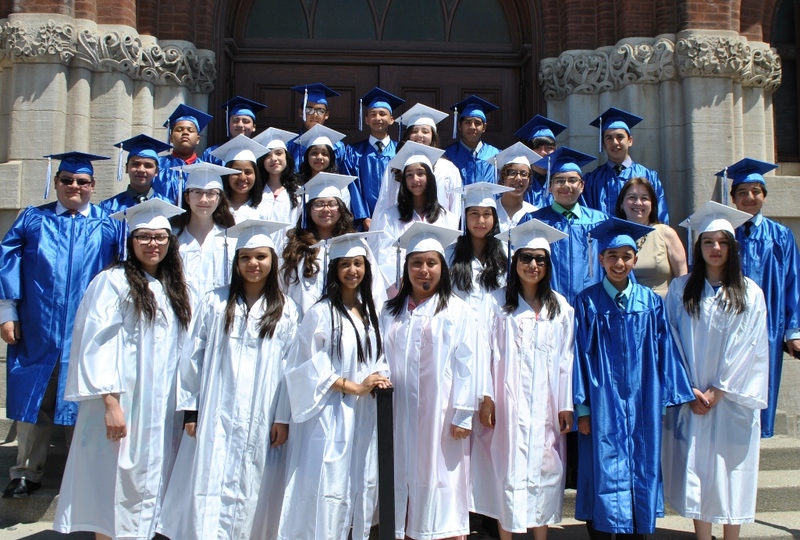 When Rudolfo brings out photographs taken on their wedding day – almost 25 years ago, Antonia says “Without the help of the programs at St. Pius V our marriage would not have lasted all these years. With the help of St. Pius V Parish, Antonia and Rodolfo faced a challenge this spring that they met with uncommon grace and strength. Sixteen-year-old Mireya, a leader in the parish youth group, was walking with a friend in Pilsen’s business district after school when a gunfight erupted between two gangs. She was caught in the (See page three) hail of bullets. Miraculously, the bullet that struck Mireya passed through her body without hitting a vital organ. While in the hospital, she was concerned about informing the principal that she might miss some classes. After a few days she was back in school. 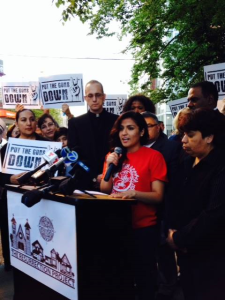 Mireya and her mom speak out against violence as Fr. Brendan listens. Later that week, at home with her parents, Mireya reflected on the values her parents share with her. She says she is “into” her faith in a way many teens aren’t because of her parents’ example and the support of the faith community at St. Pius V, and she outlined a plan for her future: a degree in social work and a lifetime of service — to give back to the community what she has received.